If you have managed to encourage more traffic to your company website through your digital marketing, SEO, content marketing and social media marketing efforts, good for you! However, if these website visits aren’t resulting in conversions, all your hard work has been for nothing. Here are our top tips for instantly increasing your website’s conversion rate and seeing the returns that you deserve! Did you know that the fewer fields a user has to fill in on an ‘opt in’ form for your email marketing, the higher the chances will be that they submit it – and the higher the chances of you being able to communicate unmissable deals and specials to them via email. Remember to also include a privacy statement on the opt in form so that potential subscribers will have the peace of mind that their details will be kept safe. Let your potential customers know that satisfaction is guaranteed by adding an actual guarantee on all your products. The reduced risk and certainty of ‘money well spent’ will undoubtedly lead to a greater number of conversions. Avoid focusing too much on features and move your attention to results instead. 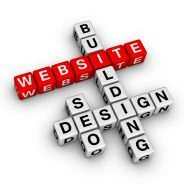 By communicating exactly how your products are going to solve their problems and make their lives easier, your website visitors be much more likely to make a purchase. Unless you have visually appealing landing pages with clear calls to action, the money spent on pay per click advertising is going to waste. For more assistance when it comes to successfully increasing website conversions, get in touch with the digital marketing experts at WSI OMS.